Superdry women’s Emilie applique crew jumper. Be comfy and stylish in this seasons must have jumper. Featuring a flattering crew neckline, stripe design down both sleeves and a large, applique Superdry graphic across the chest. 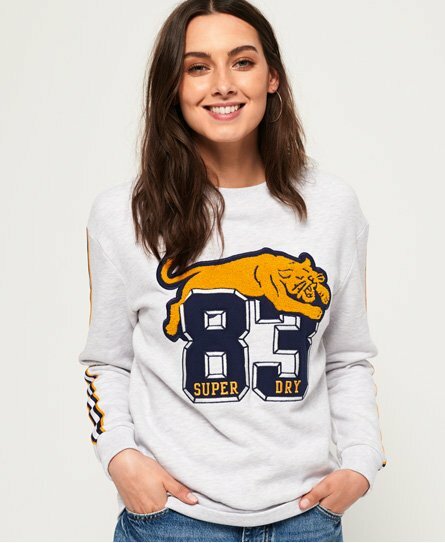 This jumper is completed with a ribbed hem, neckline and cuffs and a Superdry logo tab above the hem.